The coming of Spring is imminent, snowdrops are scattered around and the sunshine hours are increasing, our appetite for poking our heads above the winter slumber is increasing too! We are suggesting therefore, a small selection of spirit beverages that we think should match the coming euphoria at the return of Mother Nature’s green shoots. Our first spirit is none other than Psychopomp’s Pinga Gin, hailing from a micro-distillery in the heart of Bristol, it is their limited spring edition offering. Fresh and aromatic in style, it has notes of chamomile, lemon balm and bee pollen, creating a citrus and blossom edge for a wonderful aromatic experience. This one is for scaring away the spirits and ghostly specters of winter! The second spirit we recommend is Solerno, Blood Orange Liqueur from Sicily. Amazing and powerful, it has a superb aromatic flavour with the crisp and juicy blood orange taking center stage. At 40% it can be used as a premium triple-sec, making those margaritas that you love, and will chase the winter away. A celebration for the last winter harvest! Moving on to the third spirit, we continue to be awed by a wonderful and delicate grappa , Bepi Tossolini’s Grappa di Moscato, a unique spirit made from the pomace of Moscato grapes used for wine. Beautifully crafted, with an elegant body and crisp floral aroma it is best drunk as a sipper or mixed into your morning coffee, what better excuse, eh!? A spirit that truly uses up all the winter pomace! The fourth spirit comes from the dry and sunny plateau of Chihuahua, Mexico. Hacienda de Chihuahua, Sotol Plata is a distillate similar to Tequila , made from the Sotol plant that grows wild in the desert. It exudes a fresh and zingy green leaf feel, mellow on the palate, leaving one’s taste buds feeling refreshed. It can be a great substitute for Tequila in most mixing occasions or can be enjoyed neat for the full fruit & leaf experience. A real lease of green leaf in your life! Last stop on the spring spirit trail we give way to the wild strawberry, a fruit so tiny and yet so aromatic and sweet! Miclo, Framboise Sauvage Eau de Vie is one of those spirits that can surprise at every sip. Being made solely from wild strawberry, a mountain reared, small and aromatic fruit that is handpicked in late July through to August, it is then fermented and distilled into a marvelous spirit, this gets the nod as the most aromatic of the non-sweet type spirits. One can almost taste the tiny strawberries just by slowly sipping this ambrosia! Best enjoyed slightly chilled, as a reward for trimming the bushes in the garden. A spirit in tune with the returning blossoms! With the hope that some of these have inspired you to shed your winter coat, have a great spring on us! All of the above can be purchased from our Cotham or NorthStreet branches, or available on pre-order at our [email protected] branch. Lambic-style beers, in the form of a spontaneously fermented beverage, can loosely be traced back to approximately 50-100BC thanks to Roman historians marching with the army, near what is the modern Belgian/German border. The Breweries that survive today often have long, centuries-old history, and have experienced the changes in public tastes and political climates. Some have adapted to change, attempting to appeal to new audiences, whilst others have doggedly stuck to tradition. But tastes change, and there is increasing interest in the unsweetened, artisan styles of the traditional lambic from the Pajottenland. In the 20th century there were hundreds of lambic brewers and blenders, whilst contemporarily these have been reduced to nine lambic brewers, who also blend, and four lambic blenders. 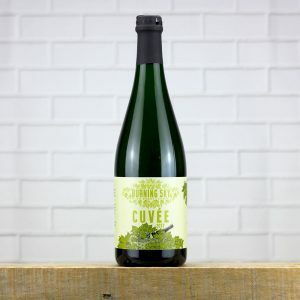 The renewed surge and interest in beer from the late 1990s-early 2000s, has coincided with increasing curiosity in lambic as a truly unique and distinctive style. In addition, many brewers outside of the area South-West of Brussels, Belgium, have started to experiment with their own styles of wild fermentation, and blended beers. Though it is fair to say that there is still nothing quite like a true lambic. There are five main ingredients: pale two-row malt (2/3 of the malt bill), unmalted wheat (1/3 of the malt bill), aged hops, water, and local native microbes that drive the spontaneous fermentation. Lambic wort (liquid extracted from the mash) is produced using turbid mashing, which involves the preservation of starchy and protein-rich wort, in order to provide the food for the various microbes present in the lengthy lambic fermentation. This then undergoes a longer than usual boil, and is hopped using aged hops, as a preservation method. It is then transferred to a koelschip (to cool), which are effectively swimming pools full of beer, at which point the beer starts to become infected with the yeasts. Unlike most other beer styles, which use farmed or packaged yeasts, lambic relies solely on spontaneous fermentation, utilising microbes and yeasts that occur naturally in the atmosphere. Finally, it is transferred to large oak barrels to age for up to three years. This is where the fun starts, albeit drawn out and lengthy, as the beer starts to grow more sour and funky. 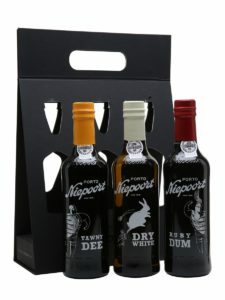 Once suitably barrel-aged, it may undergo further ageing on fruit or blended and allowed to re-ferment and develop in bottle. Of all the beer styles that exist, lambic probably makes the strongest case for being the truest expression of terroir, in terms of its geographic location and those that brew it. Whereas many other modern beers take influence and ingredients from the world over, lambic is truly a product of place, with no two blenders or brewers able to make the same beer. 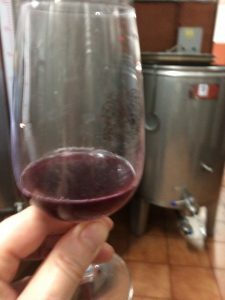 Whilst some producers don’t even brew their own beer, rather they buy inoculated wort from other breweries and age it themselves, then blend in order to create a truly unique beer. As the biggest “oude”- focused brewery and blender in the world, Boon is the touchstone for geuze and other lambic styles all over the world. Still brewing under the watchful eye of the legendary Frank Boon – a diehard traditionalist, but always willing to experiment. The brewery continues to be at the front and centre of lambic production. A blend of three year old lambics, with a small percentage of young lambic are used to create the “perfect marriage”! A refined beer, exuding flavours of tangerine, lime, hay and a slight vanilla edge, a refreshing sourness, and a long funky/dusty finish. Truly one of the most elegant and refined lambics, a fantastic example of what the style can achieve. A blend of 1, 2, or 3 year old lambics. This has a very fresh style where citrus and funky/farmyard notes dominate, but with a lovely balance of apple and pear adding a subtle sweetness to the sharper sour edge. A lingering tangy finish with touches of lemon peel and sherry vinegar, but with a great lightness of touch. A brilliant, easy-to-find and affordable geuze. A fantastic chance to try some incredibly unique beers from Frank Boon and co. 4 different single foudre (barrel) bottlings allow the drinker to explore the subtleties that the master of lambic is able to achieve. This is the youngest lambic brewery making some of the world’s most sought-after lambics. 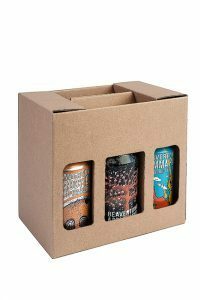 They have quickly cemented themselves as producing beers of exceptional quality. This brewery enjoys experimentation as much as its quest for the perfect geuze. 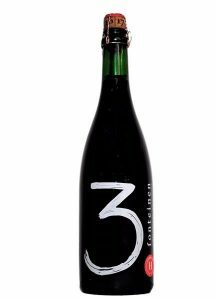 A blend of 1, 2, and 3 year old lambics aged for at least a year in bottle before release. A delightful medium bodied beer with notes of fresh green apple, ripe apricot, and hints of funky cheese and Brett yeasts, and an extraordinarily lively carbonation. It is a masterfully complex beer which is highly refreshing and makes for the perfect appetiser on a warm summers evening. A fruited unsweetened style made with 30% raspberries from Pajottenland, and 5% sour cherries from near the brewery. It has an intoxicating aroma of ripe raspberries and sour cherries with an underlying funky, earthy note. Being unsweetened it still retains the classic sour/tart flavours with subtle hints of sour citrus alongside a musty, woody quality. It is exceptionally balanced and very smooth – a true testament to this brewery’s consideration as one of the best in the world. As the newest blender in the Pajottenland, Pierre Tilquin has gained acceptance and praise from within the tight group that makes up lambic producers. He makes fantastic geuze and fruit lambics including a beer made with Belgian prunes. A blend of 7/8 Rulles Brune (Stout de Gaume) and 1/8 of a blend of 1 year old lambics which has then matured in oak barrels for 8 months. It makes for a fascinating combination with aromas of soft sour cherry, oak and roasted malts and funky/acidic, spicy note. The palate gives more dark stone-fruit notes with a great depth of leathery and earthy notes from the yeasts. The medium body and carbonation tie it all up for an incredibly balanced and complex beer. Tilquin is as interesting as ever and this beer is a great demonstration of the skill these blenders possess. A relatively new brewery, located in the South Downs in East Sussex, they have gained a reputation for creating Belgian inspired beers. They are the first in the UK to install a koelschip to produce spontaneously fermented beers. A blend of their Saison á la Provision from Foudre No.1 and a number of ex-Chardonnay barriques, it is then blended with a large portion of Belgian lambic. It shows well composed aromas of sour lambic and spicy saison, followed up with delightfully fresh elderflower, gooseberry and grapefruit notes. It has a lively but balanced carbonation giving the beer a lightness of touch whilst still retaining its complexity. This is a truly stunning offering from one of the UK’s best and most forward thinking breweries. 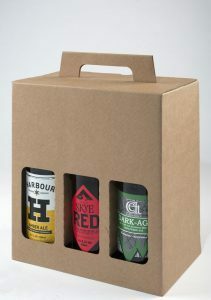 We have a great range of gift boxes. Friday 16th March 2017 from 3pm to 6pm. when Walter Teeling set up a small craft distillery on Marrowbone Lane, Dublin 8.
set up the Teeling Whiskey Company in 2012.
the historic distilling district of the city. Brought to the brink of near extinction, Irish whiskey refused to back down. enjoying and embracing the liquid that once conquered the world. Since 1990, Irish whiskey has been the fastest growing premium spirit globally – truly a new Golden Era has begun. We are seeing the revival of hand-crafted, flavoursome and unique whiskeys, the kind they were once famous for. with innovation and liquid excellence at the core of everything they do. and the industry is expected to double over the next 10 years. In the North West corner of Spain lies the magical land of Galicia. Green and rugged it is a beautiful mix of mountains, rivers, rolling hills and a stunning coastline. As breathtaking is the scenery, so are the wines. 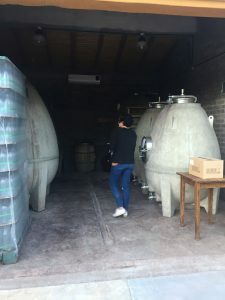 We have just returned from a tour across the region taking in Rais Biaxas, Ribeiro, Ribeiro Sacra and Valdeorras visiting the tiny artisinal producers that lavish our shelves and represent so much of what Galicia is about. Albarino is most well known variety of Galicia and key to the Rias Biaxas region. 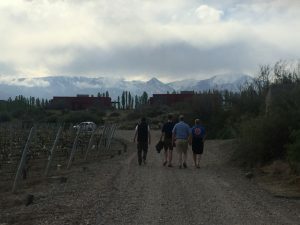 Trico was our first stop, a four plot domain specializing in Albarino with a capacity to age. From 2009 vintage to the 2015 we tasted through citrus, apple, tropical, saline, mineral, honey and beeswax in these beautifully structured and lengthy wines. Our other Albarino hails from large terraced vineyards on the banks of the Minho river, Quinta de la Erre. Whilst their Albarino is sold young they are also protagonists of aging Albarino and tasting back through four vintages shows just how this grape develops much more weight and complexity with age. The idea of ageing Albarino is alien to many consumers and other winemakers in the region but with good vineyard practice low yield and minimum intervention in the winery wonders can happen. 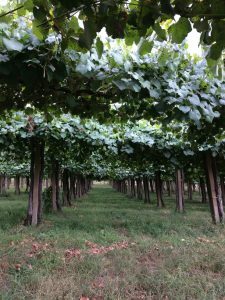 With the climate in the region producing much rain and humidity another alien practice is biodynamics. Luckily there are always crazy individuals ready to challenge what many think is impossible and create something stunning. In the Ribeiro region we visited two such individuals. Bernardo has a variety of plots on terraces steep up the hillside. A mix of 30 or so varieties, we lost count whilst trying. He follows a mix off biodynamic practice with the ethos of permaculture. Making the wine in his garage with absolutely astonishing results. Chan se Lus Blanco 2015 is textured with perfumed layers of peach, apricot, nettle and dry honey – just stunning! The 2015 Tinto is bottled with no sulphur and is an extraordinary wine, vibrant and spiky at first, settling in the glass quickly with amazing depth and elegance. Look out for these in the near future. Juan tends his grandmothers old vineyard at the side of the house he now lives in. Beautiful pergolas of Brancelleo, Caina Longo, Souson and Espedeiro provide cover for the chickens to run under. Again, a protagonist of biodynamics and minimal intervention, Juan is challenging the boundaries of what can be produced in this region with stunning results, His wine As Furnias is funky yet elegant with gorgeous depth of gentle bramble, figs and plums. The 2015 will be arriving with us very soon. 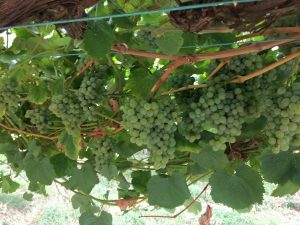 This post wouldn’t be complete without mentioning the wines of Bioca in Valdeorras. This domain is the retirement passion of Maria Teresa and Celestino Naveira. The winery is nestled in an ampitheatre their Godello grapes looking out to the slopes of Mencia. They were the only winery we visited to have picked and the juice sitting in the tanks ready for fermentation was beautifully vibrant and zesty. Over a long lunch we had the 2016 Godello that had a weight of stone fruit balanced by lime zest and a saline edge, brilliant. It was paired with a local aged and tangy sheep’s cheese and the match was perfect. We continued with the 2015 Mencia which is juicy bramble laced with herbs and spice – a superb accompaniment to a lush shoulder of pork. Needless to say we didn’t want to leave. Not long ago, Portugal was only known for its beautifully crafted fortified wines (Ports) and less so for the easy, quaffable white wines of the north (Minho) or juicy reds of the Dao, Bairrada or the Alentejo. 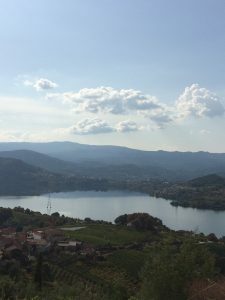 Nowadays this has been rectified, most of wine drinkers having met with the delicious Vinho Verde or similar white wines of the Minho and neighbouring Douro valley. With indigenous grape varieties that abound in the Portuguese vineyards there are certainly some great examples to try, and today we are focusing on 3 summery, fresh , inviting wines that you’ll love to try. First comes from Minho, the greater area in the north of the Douro that encompasses the Vinho Verde too. Leira Seca, Fernando da Rosa 2016 is a beautifully crafted blend of Alvarinho and Trajadura, crisp and balanced citrussy notes with a warm stone fruit feel on the nose , approaching the palate with gorgeous ripe fruit and continuing with a lemony vibe that just springs Summer into mind. Paired with some seafood risotto and it will make your day! The second wine we thought about today is the well known Vinho Verde , but today there are so many to choose from, luckily we have a pretty special example in Clip, Vinho Verde 2015 which is a 100% Loureiro wine. This grape variety, although found in many Vinho Verde examples, is seldom seen on its own, so it is no surprise that the flavour is bolder, richer, full of melon, touch of grapefruit and bursting with a citrus oil that keeps bringing you to try more. Both the nose and the palate are dominated by the ripe melon feel and it does not disappoint on the freshness level too. Less spritzy than its “greener” cousins, a delight it is nonetheless ! Pair this with your garden, sunshine provided! The third and final suggestion is coming from revered Douro, where once only Port was the master, now there is plenty of room for more of the local, sometimes obscure grape varieties that grow together , fighting for every sand , stone and drop of water on the steep slopes of the valley. Quinta de la Rosa, La Rosa Reserva 2015 is a craft of the land, the demanding castas (grapes) and the rewarding winemaker. A blend of mainly Viosinho, accompanied by Rabigato, Arinto and Gouveio alongside many other white varieties it brings to nose flavours of white blossom, pear, fragrant apple, green herb and a juicy lemony spritz. More body than the previous two but with lots of freshness, derived also from its mineral core, it continues on the palate with juicy pear and stone fruit, enveloped in an almost spicy citrus blend and green herb. Textured and fresh in the same time, it is a rewarding example to any kind of dish that is aromatic but also requires both body and freshness. Have this one paired with grilled Mozambique gambas (large prawns, from a once colony of Portugal) ! Enjoy the summer days while they last, come in and help yourselves with these gorgeous wines! Last night we indulged (alongside our customers) into a superb tasting hosted at The Kensington Arms, Redland featuring some fantastic wines from Quinta do Vale Meao.The tasting was presented by Francisco Javier de Olazabal , winemaker at this esteemed estate that sits atop a granite outcrop in the Douro Superior region of Portugal. We started the evening with a vertical tasting of 3 vintages of the Quinta do Vale Meao , 2002, 2007 and 2012. Jumping 5 years apart , the wines showed not only the potential of aging such beautifully crafted wine but also the minute differences in how the field blends were selected. The 2007 vintage was yours truly’s favourite, showing some great elements of the Douro reds (spicy and minty dark cherry and bramble ) alongside game, leather, pepper and a good solid structure. 2002 was the more developed vintage, showing some exquisite soft tannin and a very vibrant fresh fruit, still a young wine I would say, capable of aging much more. The 2012 was a rich and full bodied , still young vintage that was just peeking through the vibrant tannin and fruit structure. Following up to the vertical tasting we had a food and wine pairing that featured Meandro Branco, a fresh and juicy white Douro style with 2 distinct vineyards blended, one planted with Arinto and the other with Rabigato. This was paired with a starter of Beetroot Cured Salmon and Salmon Mousse, and it proved to be a great match. The main course of Braised Short Rib, Onion and Carrot was accompanied by 2 different reds , Meandro Tinto, a typical Douro red with a much younger vine in its makeup, showing lots of freshness, red cherry fruit and velvety tannin (this was served slightly chilled) and also Monte Meao, a single vineyard and single grape variety (Touriga National ), style, that was elegant, poised, mineral and full to the brim of the classic dark cherry and mulberry with a hint of mint that Touriga is known for. The eagerly awaited dessert was accompanied by Vale de Meao 2001 Vintage Port, served around the table in a typical portuguese manner, where each participant would pour for themselves and then pass along the bottle/carafe. The Port was a stunner, aromatic, almost juicy but showing some great structure of fruit and spicy tones. A young Vintage port still, that can continue to develop for a couple of decades. 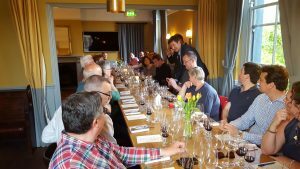 Everyone seemed to have enjoyed the tasting and we wish to thank Francisco, Raymond from RaymondReynolds and all the staff at The Kensington Arms for a wonderful evening !